Over a 48 hour period (from 4 PM Friday October 2 to 4 PM Sunday October 4), participants will work in teams to rapidly prototype game designs (video games, tabletop, or other formats). Game jams are often held to help inject new ideas into the game industry, and this event in particular has the goal of making educational climate information more accessible to a wide range of audiences. 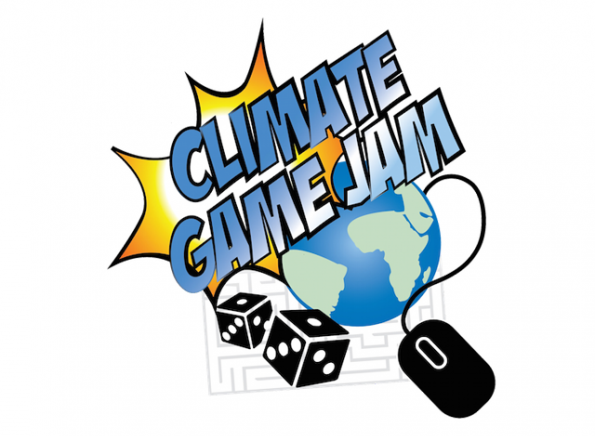 No prior experience in game design or climate science is necessary, although many experts in both categories will participate. It’s an intense and exciting experience, and a great opportunity to connect with professionals in the game industry. There will be game designers and scientists available during the weekend both over webcast from the national site and in person at the UW site. Some impressive prizes will be awarded to the winning teams, and it’s for a good cause too! Don’t feel intimated by the time commitment. Although our site will be open continually for the 48 hours, many of the other locations around the country are open for significantly less time. So the winning games might come from teams who are only able to commit to working during a fraction of the weekend.